Take complete orders. 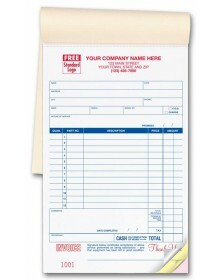 Preprinted areas simplify write-ups of customer information, description, amount and more. Get the details. 10 lines provide ample room so orders can fit on a single page. 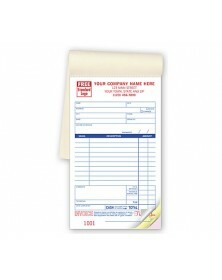 When services are requested, quickly take them down and provide a receipt. Our service books are the ideal medium for such efficiency. With multiple carbonless forms bound together, all service books provide fields for listing customer requests, products, or tasks rendered, along with columns for amounts and prices. With general and automotive options available, multiple forms assist with effective recordkeeping and inventory management. For creating an overall brand, consider having your logo printed onto a set, at no charge.